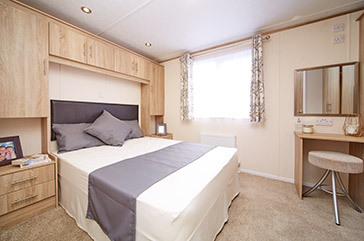 At Arronbrook Leisure Homes, we appreciate that your holiday home is the realisation of a dream, and our aim is to exceed your expectations. With over 30 years' experience in the industry, we have a team of highly skilled craftsmen who build our models to our exacting high standards, with immaculate attention to detail. 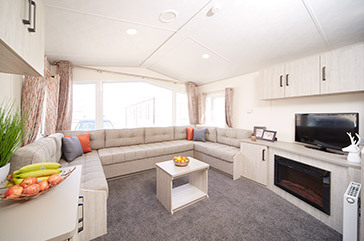 Our static holiday homes are designed with you in mind, so we take care to think about our finishes and interiors, and each completed model is inspected in detail before leaving our factory. We will take all the stress out of the process by working closely with you to ensure all your specifications are met, and to allow you to put your own stamp on your home, from choosing the size and lay-out of your home, to adapting the floor plan and even selecting the curtain fabric, if you choose to. We use sustainable resources in the build of our holiday homes, and with our extensive industry experience, quality comes naturally to us. All of static homes are built to BS EN 1647 and EN 721 as standard, and come with a two-year warranty. Please note all our static homes are not meant for residential (permanent) use.